There has been a story of unadulterated, bigoted, piffle recirculating the interwebs this week discussing the supposed massive influx of abortions that would result from the legalization of gay marriage. While laughable and astoundingly picturesque of the state of confirmation bias within many conservative religious sects, this sparked an age old comment in my mind, one that I thought would be an enlightening statistical analysis to the perfection of a perfect God’s perfect creation. While the logical paradox that is a “gay marriage abortion” may make you cringe with astonishment I feel it should be plainly elaborated here. There is absolutely no way that two gay people can reproduce using any natural or state of the art scientific methods without the introduction of the biological material from an outside third party. With this stated, there is simply no possible way for gay marriage legalization to result in even one more abortion than what would happen under the current legal parameters outlined in the United States judicial system. The only area where this non correlation can be conceived, heh, is in a slippery slope of morality where gay marriage opens a gate of immorality devouring our nation and ultimately the world. Funny thing is, this is a similar argument to what was used to prevent the slaves from gaining their freedom, women from voting, African Americans from voting, and all the progress of the civil rights movements. Its getting repetitive is it not? Fears of war and pestilence. Fear of loss and failure. Fear the hate of your enemy. Fear your god and savior. Deep and insidious, beneath your consciousness, and just beyond your peripheral vision the horror of sin lies. The most base human fears, materialized with an agenda, and aimed at the young and vulnerable. Instincts derived from over a hundred thousand years of life in hominid form and millions of years before to the origin of species, have been carved by nature to protect the self and the genes from destruction. When weaponized, as proven time and time again, fear truly is: “the mindkiller”. 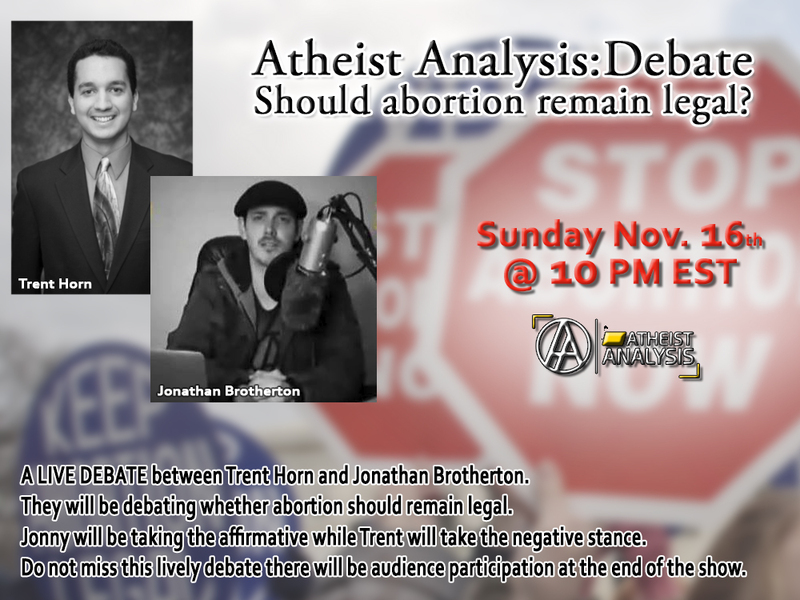 This will be a LIVE DEBATE between Trent Horn and Jonathan Brotherton. They will be debating whether Abortion should remain legal. 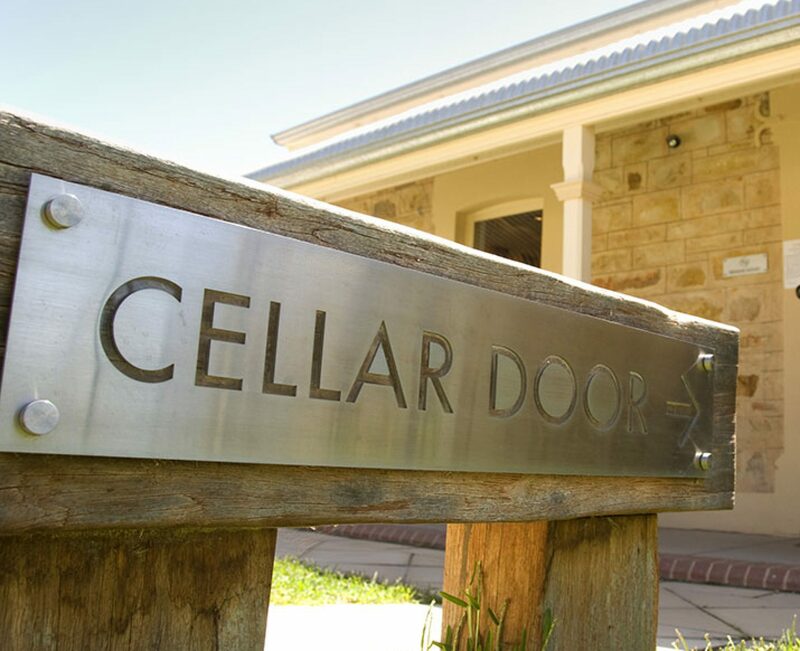 Jonny will be taking the affirmative while Trent will take the negative stance. Do not miss this debate as it will be a lively debate and we will have audience participation at the end of the show. Abortion: What Does Science Say on the Matter? Well, as we all know, abortion is a pretty contentious topic in the United States. It also faces its strongest opposition from religious groups. Considering how we atheists do not believe in God and need to rationally conclude morality for ourselves; we cannot rely on religious moral pronouncements about abortion, but need to come to our own conclusions. Philosophically, there are many different moral stances framing the issue that atheists can take, but we can also apply science to the issue to come to reasonable conclusions. Being essentially a utilitarian, as I have made clear in previous articles, this is my take on the abortion issue. I see the abortion issue as having two different priorities that we need to balance: the life of the fetus and the mother’s right to her own body. To me, a fetus most certainly is a human life, but we must be careful how we define and frame this issue. Some people see the killing of all human life to be bad, while I obviously disagree in this particular circumstance. It has been said by people who are pro-choice, particularly those not of a religious variety, that life does not begin, but that it continues. A fertilized egg is formed from living components from the mother and the father, and this gives a fertilized egg a distinct set of human DNA, which then grows into a fully born human. In a vacuum, it could be argued by some that this life should not be destroyed, but obviously this fertilization process does not happen within a vacuum. It typically happens in a fully grown, or nearly fully grown human female. This woman has her own priorities and concerns, and these should not be discounted simply because a fetus or an embryo or a fertilized egg is a human life. We must look at how the two priorities between the mother’s concerns and the life of the fetus should be weighed against each other. Pro-Life or Pro Choice? You Decide! Pro-life or pro-choice? It’s a discussion that isn’t going away any time soon and I wouldn’t presume to be the first to solve the debate. However, abortion is controversial because it poses a moral dilemma and it infringes on many people’s understanding of acceptable behavior. Why? Well, because it involves deliberately terminating what these same people equate to a human life, which they view as a strictly unconscionable act. The problem for pro-choice advocates is that the unborn child, to them, does not hold the same value as the life of a self-aware, self-regulating, human being existing outside of the womb. Moreover, what of the mother’s life? Is the sum total of her memories, experiences and personal growth not worth something substantial? If her health were at risk due to a pregnancy, shouldn’t her inherent value trump that of a life that hasn’t even started yet? Before I begin, I bid you, take a breath, in then out. Let the preconceptions and rigid guard you came in with down. I am not here to criticize, debunk, disprove, or solve the endless argument for the beginning of life. This metaphysical and moderately circular argument, life and when it begins, has been here since before I was, and will be here well after I have left. What I wish to consider is a world where that black and white definition is unimportant, where the abortion question has been relegated to the dustbins of a society past. I wish to talk about consequences, specifically future predictions of the reactions that might result from a series of decisions. Without regulating sexuality, banning abortion, or mandating birth control for all citizens how could we reduce the unwanted or surprise pregnancy, and with it the possible request for an abortion? How could we create a self policing population that actively chooses to avoid scenarios where the results could be the creation of human lives, whilst protecting the natural and very human instinct to copulate?